Austin Restaurant Week appears to still be in the planning stages for 2014. Eat out and support local charities—sounds great, right? However, it can be hard to think about diabetic nutrition or eating right at all, at events such as this. We have some world-class dining establishments in this city, and between duck confit and wine pairings it can get very hard to stick to healthy eating habits. Everyone knows that people with diabetes need to limit sugar intake, but that’s not all. It’s important to avoid high-fatty foods (especially fried foods), overly salted meals, and too much dairy. 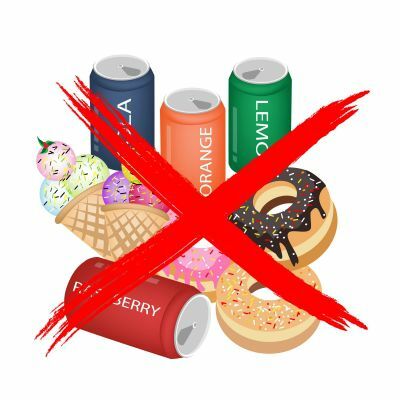 Also remember that many of the things we drink are high in sugar, such as fruit juice, sodas, and many coffee drinks. Replace these no-no foods with things that are rich in fiber and protein. Avoiding temptation is key to eating right and staying fuller longer from lean meats, whole grains, and dark leafy greens. This is the first step to keeping your nutrition on track. Whether you are going to Restaurant Week or you are just looking for a night out on the town, here are some things to keep in mind. Eat slowly and mindfully, take time to really enjoy the food you are indulging in, and don’t overdo it. Share a few small things with your family or friends so that you get to try a bite of everything but not overeating. If you’re going to be eating a lot, try not to go overboard on the alcohol. A person with diabetes has more to worry about than others, both when it comes to nutritional habits and foot health. If you have questions about your diabetes and the health of your feet, or if you want more recommendations on eating right, call Dr. Craig H. Thomajan DPM, FACFAS and Dr. Shine John DPM, FACFAS at (512) 328-8900. At Austin Foot and Ankle Specialists, excellence in podiatric care is our standard.